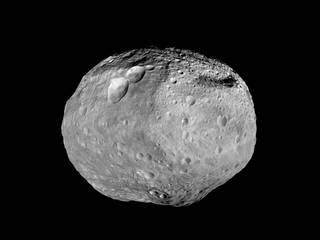 Vesta is an asteroid. It has a set of three craters known as the "snowman." This image, taken by NASA's Near Earth Asteroid Rendezvous mission in 2000, shows a close-up view of Eros, an asteroid with an orbit that takes it somewhat close to Earth. Sometimes when a thing becomes hidden, something else is revealed. Hal reveals an upcoming occultation in this week's episode of Looking Up. One of the great things about astronomy is that there are so many different things you can look at. Some astronomers are fascinated with planets, while others study entire galaxies. And there are some dedicated amateur astronomers that are all about asteroids – those hunks of material left over from the formation of our solar system. Every now and then, an asteroid drifts across, and blocks or “occults” the light from a star. 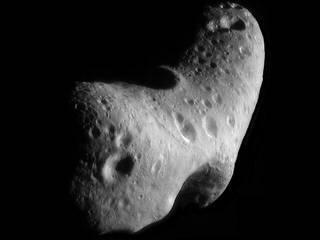 These occultations can provide lots of information about the asteroid. Some really dedicated amateur astronomers will set up a line of 20 or more telescopes with cameras in a line across the predicted eclipse zone of the occultation. That way, by combining the information gleaned from each telescope, they can get a fairly good idea of the size and shape of the asteroid. And such an occultation is going to happen across much of the United States on the 16th. If you live in a band from northern California to Maine, you can point a telescope at the star HD 33864 in Taurus and see an asteroid named Sappho pass right in front. The star will wink out momentarily, and you can marvel at the wonders of the night sky, to say nothing of the ability of astronomers to predict amazing events with such accuracy. You can learn more and maybe even help out by visiting occultations.org, where the International Occultation Timing Association has all the best information on this and other upcoming occultations. If you’d like to take a closer look an asteroid, or any of the other wonderful and amazing things in the sky, please visit csastro.org for a link to information on our monthly meetings and our free public star parties! Bruce Bookout speaks of the sun. This week on Looking Up Bruce Bookout illuminates us on the historic and cultural aspects of that special star nearest to us. The most obvious celestial object and most influential is the Sun. 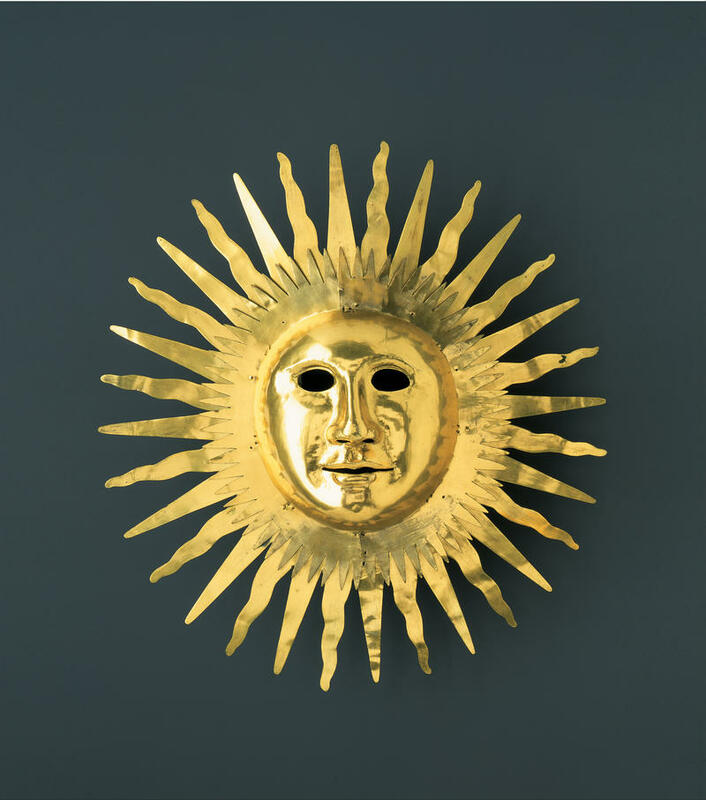 Every ancient culture around the world saw the Sun as some form of deity. There are over a hundred difference names of the Sun, as either a god or goddess, in the various cultures of the world. Consider how many song lyrics speak of the Sun. On this week's Looking Up Hal points out the meteoric rise of GZ (short for comet Giacobini-Zinner) a celestial visitor visible in the Colorado sky this month. 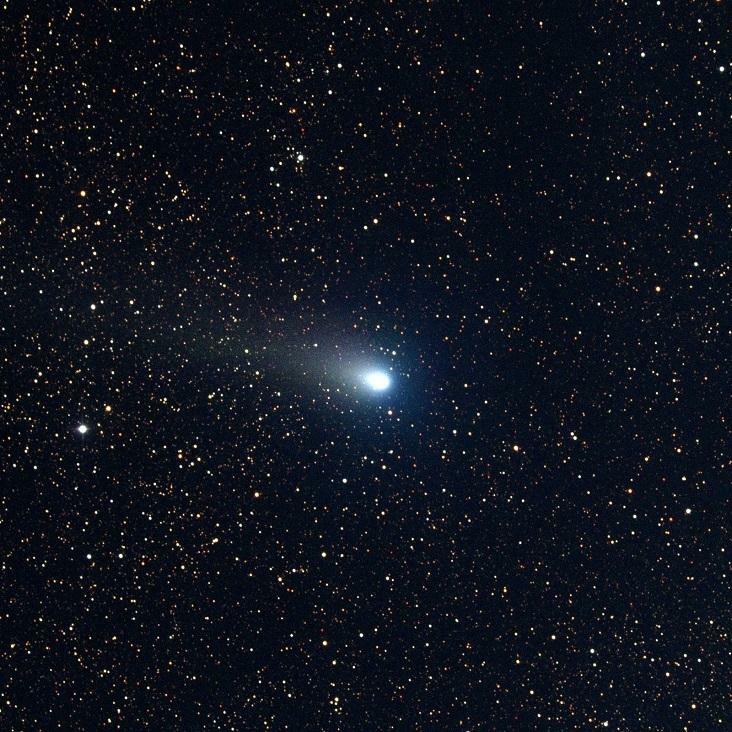 Comets, you recall, are often called dirty snowballs in space. They are made up of the original materials from the formation of the solar system, and thus are some of the oldest things out there. Trillions of comets slowly circle the Sun way, way out there, many times farther than Pluto, in a cloud of comets known as the Oort Cloud. Some of these comets will never fall in toward the inner-solar system, and others will drop by and then zip away for thousands, or even millions of years. When you're No. 2 you have to shine a little harder. 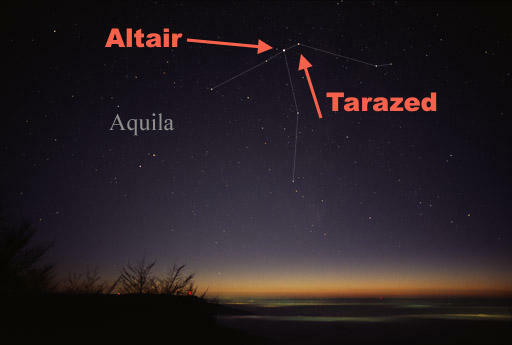 This week on Looking Up we learn of the 2nd brightest, but much lesser known star in the constellation Aquila. If you’ve listened to Looking Up for the past three years or so, you may have noticed that sometimes I talk about really obvious things, like, say, the Moon or the Sun, or Jupiter or Saturn. And other times, I tell you about very obscure things that you likely have never heard of. I do the latter for two reasons. First, I think some of these lesser known things are really cool, and second, it gives you something to talk about at cocktail parties. 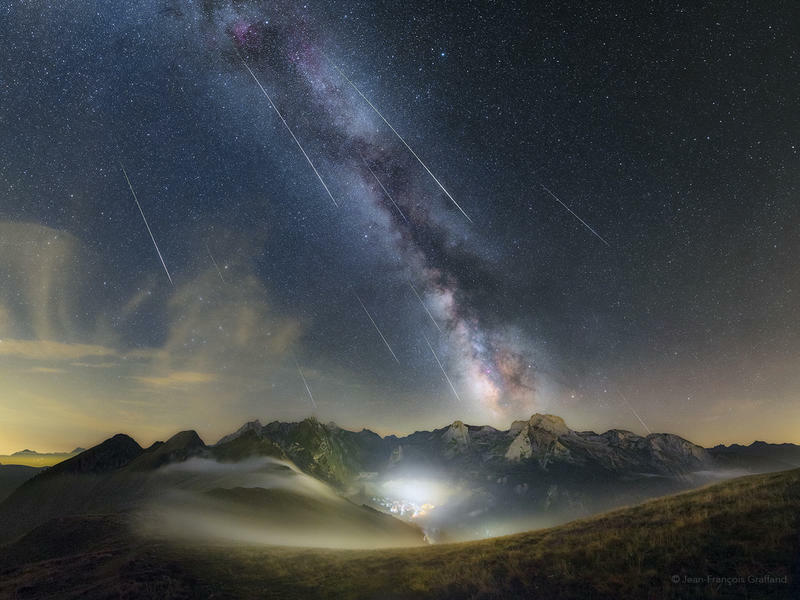 The Perseid Meteor Shower is back and the 2018 edition could be a banner event as we learn on Looking Up this week. 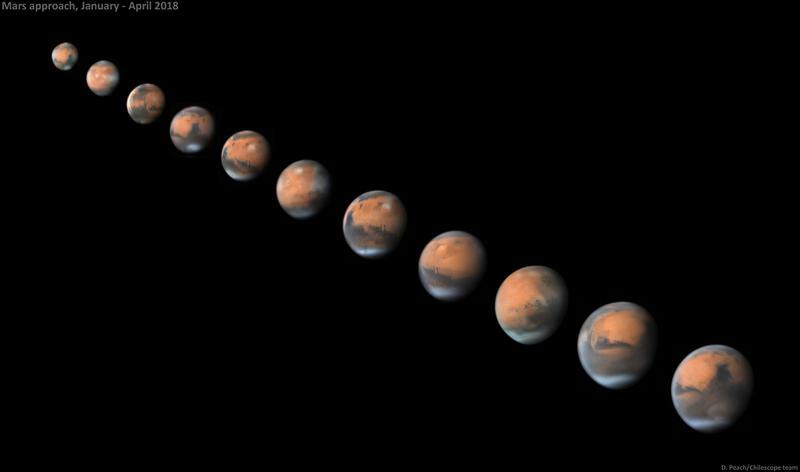 Hal spotlights Mars as it comes into opposition. This week Mars will be as big as the full moon (as long as it's viewed through a telescope at about 100x magnification). There’s a rusty planet up on the Southern Colorado sky right now that is definitely worth taking a look at, because you’ll won’t see it this well again until 2035. I’m talking about Mars, and as it turns out, the orbits of Mars and the Earth are such that right now, Mars is about as close as it ever gets to Earth. In more “normal” years, so to speak, Mars is still a pretty thing in a telescope. With decent optics, you can make out the frozen pole and some dark places on the surface. With Mars so close, we should get even better views.